- WWF Royal Rumble '95 (January 22) = Mantaur competed in the Royal Rumble, which was won by Shawn Michaels. 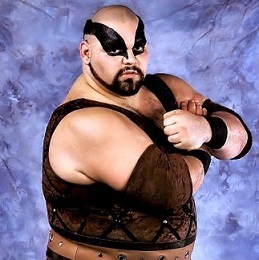 - WWF King of the Ring Tournament '95 (May/June) = Mantaur was beaten in the first round by Bob Holly. Mabel won the tournament. - ECW December To Dismember '95 (December 9) = Bruiser Mastino fell to Hack Myers. - ECW Holiday Hell '95 (December 29) = Mastino defeated El Puerto Ricano.